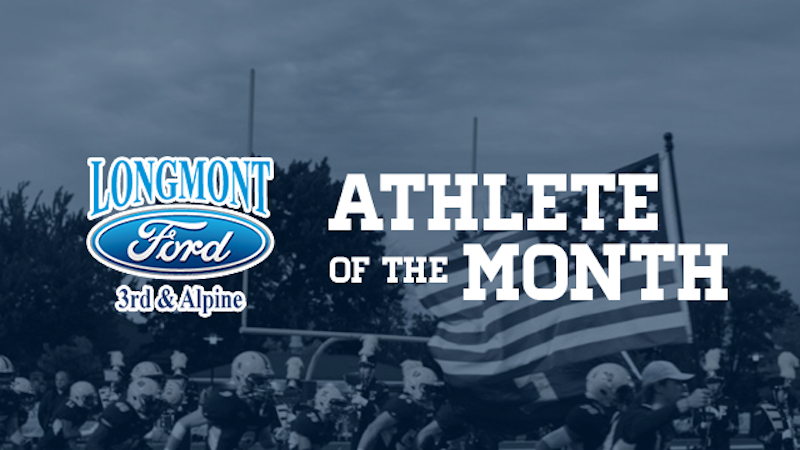 It is time to vote for Longmont Ford’s March Athlete of the Month! Each month local high schools and communities will nominate male and female athletes. VNN will post an article announcing that voting has gone live and winners will be announced after the voting has closed. Voting closes on March 31, 2019 at 11:59 pm. Student has been a strong leader for us in the locker room and on the floor. Over the past month he is averaging 15 pts, 10 rebounds and 4 blocks per game and the team has gone 5 – 2 since January. Cyrus is 6’6″ and a Senior for our team. Drake is a defending state champion and is currently ranked 18th nationally at 170 pounds. Lucy qualified for the state swim meet in both the 200 and 500 freestyle as well as relays. Jessica is a senior that is our varsity tennis #1 singles. She has worked very hard to get where she is at and is 2-0 on the season. She is a captain and played through an ankle injury to win her last match. She’s tough as nails and I trust her on the court every time she gets out there. If you know an athlete that you’d like to nominate for the April Athlete of the Month, click the link below.